Richard She is an accomplished accordionist from Sydney, Australia. 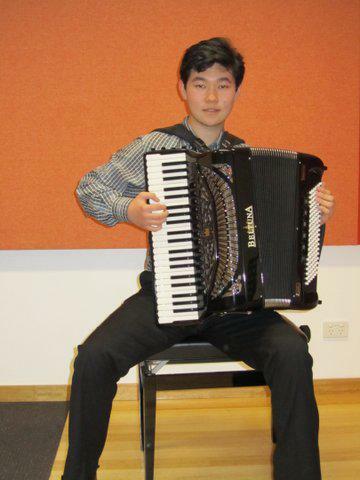 He began learning piano at the age of 5 before switching over to learning accordion at 10. Over the past 8 years, he has achieved much, such as competing in many competitions held in Australia, New Zealand and China, as well as completing his AMusA in 2010 and his LMusA in 2013. 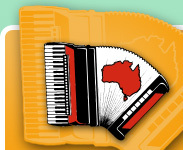 He has won many competitions, such as coming first place in the International Open Junior Virtuoso Championship Class for 20 years and under and the South Pacific Solo Accordion Championship for both 12 and 15 years and under. He also actively participates in Funkordion and the Sydney Balalaika Orchestra, with whom he has both performed and toured with. With the orchestra, he has performed both within and outside of NSW, travelling to Tasmania, Canberra and Russia. At present, he is undertaking a degree of Commerce/Arts at the University of New South Wales.